If you have questions about how orienteering works and what to expect at an orienteering event, then check out the Newcomers page. Other general questions are answered here. Have a question that we haven’t answered here? Contact us! How does running off-trail impact the environment? How is this club organized? Where can I find board meeting minutes and other documents? If you grew up with an appreciation for the outdoors, then you’ve heard the message to “stay on trails” to preserve the environment. With this in mind, you might be concerned to see orienteers dashing off-trail. However, orienteering is actually a low-impact sport by design. Before hosting an event, CascadeOC works with land managers to identify sensitive areas. 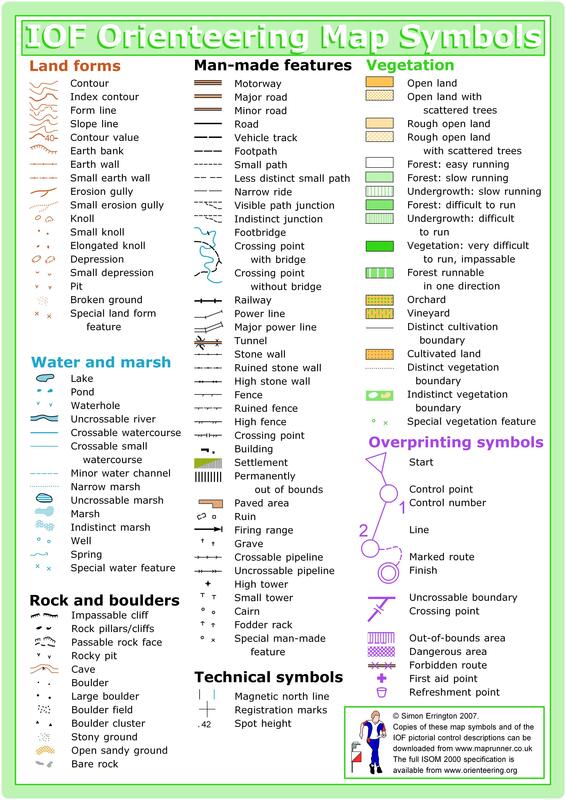 At the event, every orienteer carries a map, and environmentally sensitive areas are clearly marked out of bounds. Furthermore, courses are designed to avoid these areas, and anyone seen going out-of-bounds is disqualified. Off-trail erosion happens when people repeatedly take a shortcut to a desirable location over a long period of time, such as park users taking the same shortcut down to a creek over the course of years. At an orienteering event, participants are seeking obscure features, such as a boulder in the middle of the woods, that is otherwise of no interest to daily park users. Furthermore, the destination lasts for only one day, since all the checkpoints are removed at the end of the meet. It is in the interest of both the environment and the orienteering experience to reduce the amount of people visiting any one checkpoint. At a large meet of 400 people, there are 8 different courses to spread participants out. And within each course, orienteers will take a variety of different routes to get to the same control. On a broader scale, most CascadeOC venues are used only once per year. Why host orienteering in your park? Cascade Orienteering Club is a 501(c)(3), supervised by a club-elected Board of Directors. For more details, read the Cascade Orienteering Club Bylaws, last updated on December 12, 2014. The purpose of this website is to provide information about orienteering to members and visitors. We do not collect any personal information through this website. However, some personal information is collected outside this website, such as when registering for a meet, and information may be displayed in the ways listed below. This information is not exchanged with any third parties. Individuals who log into the Cascade listserv on Yahoo will have their password and e-mail stored on Yahoo. These represent the currently known uses of private information. Other uses may occur, but are not routine enough to list. Therefore, this list may change over time. If there are any concerns about this statement, please contact us.